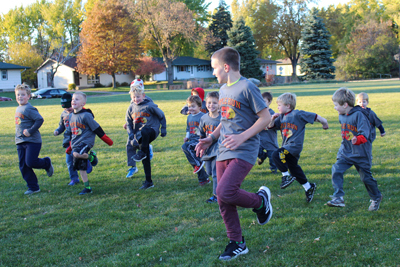 Over 75 of the district’s K-6 students participated in this year’s Kid’s Apple Run on October 23, 2018. 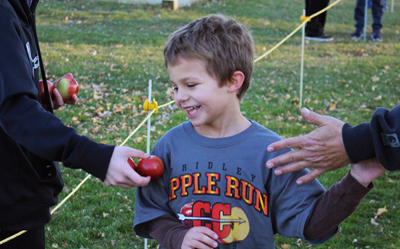 The Kid’s Apple Run is an annual event hosted by Fridley Public Schools grade 7-12 Cross Country Team. 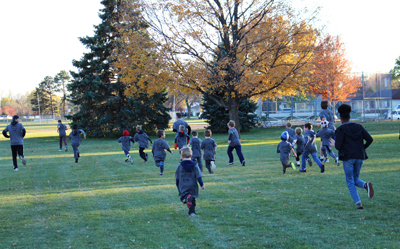 Depending on grade level, students run a 600 to 1,000 meters race around Commons Park, led by cross country team members. As the name of the event intends, students are given an apple at the finish line. 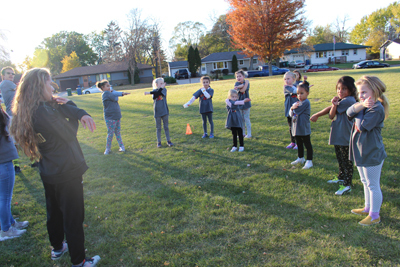 Prior to the race, the Cross Country team teaches the young participants stretches and exercise techniques to prepare them for the run. 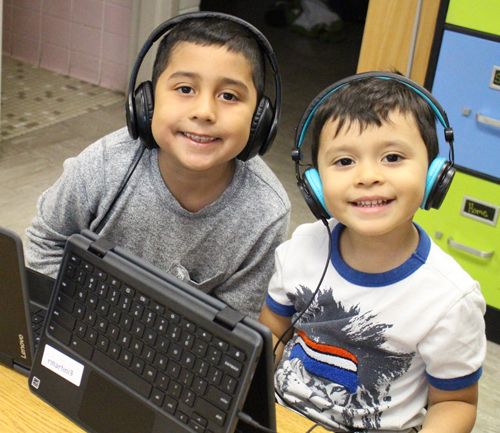 The event is an opportunity for Fridley Middle School and Fridley High School Cross Country team members to work together to hold an event for the younger students in the district. 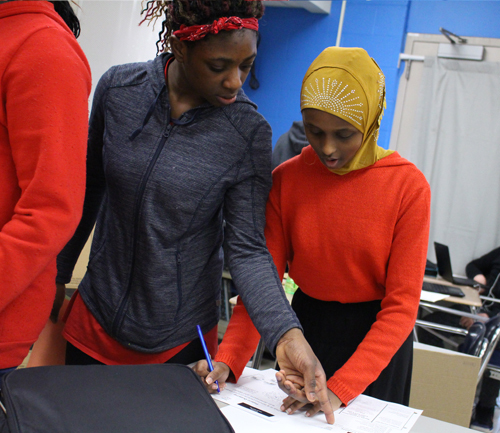 “It is easy to only focus on yourself during a competitive sports season, and this event helps give our runners some perspective on putting the focus on creating something special for other people,” said Fridley Cross Country coach Brad Fisher. As the race has been held for over two decades, Fisher said he is happy to be able to carry on the tradition of the Kid’s Apple Run. The tradition was started by now retired Fridley chemistry teacher and long-time Cross Country coach Jeff Bullard. 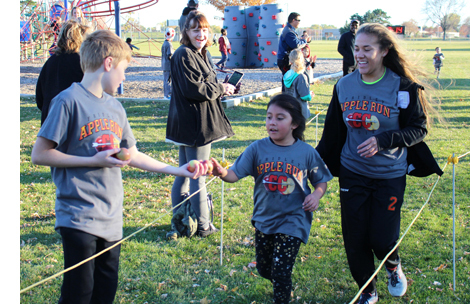 Many current Fridley Cross Country team members participated in the Kid’s Apple Run when they were younger students in the district. Bob’s Produce, a local deli and grocery store, donates the apples each year, and the North Suburban Striders donate funds to provide a free t-shirt to all those who participate. Fisher said he is thankful to all the families and students who came out to participate in the race. “I hope everyone continues to make running a part of their lives, and maybe someday, they can be members of the Fridley Cross Country team and help to continue on this great tradition,” said Fisher.